about his new track, Mathilda, and how it came together. He tells me what he has coming up and whether he has any ambitions to fulfil before the end of this year - I was keen to know when music came into his life and which albums hit him hardest. LeWis talks about the scene in his native Belgium and reveals whether he has tour dates coming; which rising artists we need to get behind and whether he gets time to unwind away from music – he ends the interview by selecting a classic song. Hi, LeWis. How are you? How has your week been? My week has been good. Every week is the same though: uni during the day and writing songs at night. I’m very lucky to be living outside the city centre of Liverpool because I love a good night walk around Sefton Park. 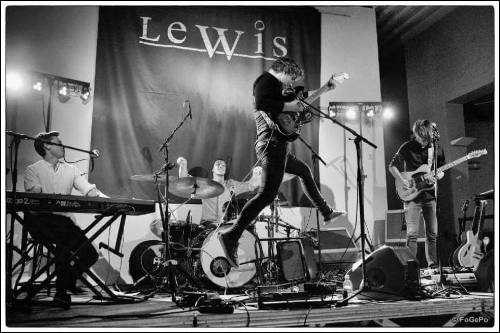 I’m LeWis; a twenty-two-year-old Belgian songwriter. I write Indie-Folk/melancholic songs about life experiences and dreams. Like most songwriters, I started writing songs at a very young age. I hope to move people with my music and lyrics. Mathilda is your new single. Is there a story behind it? How did it start life? Mathilda is written about a person I met when I went traveling through Canada. It's very strange how the song came to life. It all started with a bridge part; it had a very nice melancholic feel to it. The first lyrics I wrote were: "The love, the love/The love Mathilda". I think this sums up the song, so I kept repeating the pattern - and then, in one hour, I wrote the whole song. Yeah. I try to write every day. I’ve done this for some time, so I'm dead-excited to get into the studio and record all my crazy idea’s and sounds. Can't wait to introduce people to my music. I’m hoping to bring out an E.P. around April. It’s probably not a big influence on my music but Metallica was my first ever gig. I was ten-years-old. After that, I started exploring more artist like: Bob Dylan, Bruce Springsteen; Paul Simon (Simon & Garfunkel), Eddie Vedder and Sigur Rós. God Is an Astronaut were a massive influence for my writing cause they made me wanna experiment with instruments and sounds. Being based in Belgium; what is the scene like there? I think Belgium has a lot of different genres which makes it very hard to pin down what the scene is like. I think Belgium is a country with a lot of talented musicians. If you really had to describe a scene, I would say Alternative/Synth-Pop. I hope to be appreciated in the music industry. I hope to be ready to start playing live in 2019. I’d like to go on tour and start performing my songs all around the U.K. and Europe. My favourite memory was having an independent tour in Saskatchewan. I just packed my guitar and gigged for six weeks in all different places around Canada. It was a time when I didn’t have a lot of money, so improvising was the nicest part of travelling around. I think I would have loved to go on tour with Nick Drake if he was still walking about. My dream is to play in the amphitheatre in Red Rocks (Colorado). A natural-sounding reverb in the middle of nowhere. I think everyone have their own way to become an artist. Just be yourself is the cliché́ one, but I think stick with that. At the moment, we are just recording and practicing our live set so we can fire it up in 2019. Everything Is Imagined; Geppetto & the Whales. Not really. I do try to take my mind off of music but I always end up listening or playing (to) tunes.